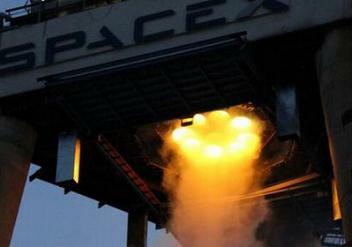 Spacex has successfully tested upgrades of nine Merlin 1D engines, arranged in their new octagonal placement on the core stage. This will increase the payload capability of the Falcon 9 to over 29,000 pounds to Low Earth Orbit (LEO). Spacex confirmed on July 14, 2013. “The recently tested booster is the first stage for SpaceX’s upcoming next-generation Falcon 9 demonstration flight for MDA and their CASSIOPE mission. The same updated design will apply to all Falcon 9 flights moving forward.